The EDWARDS INTUITY Elite valve system represents our commitment to continued innovation for surgeons and patients in heart valve therapy. The surgical heart valve market is evolving. Concomitant procedures are becoming a larger percent of the surgical mix, and MIS is gaining in importance. 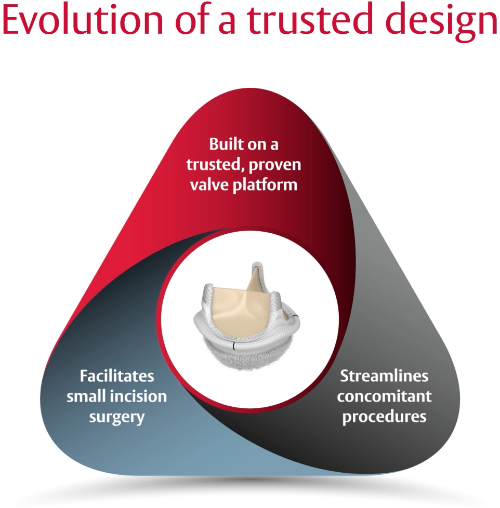 To enable surgeons to address these trends, we have developed the EDWARDS INTUITY Elite valve system. We have combined our proven pericardial valve technology with our innovations in transcatheter heart valves to create a new category of surgical valves designed to streamline procedures and facilitate smaller incision surgery. We believe more efficient, less invasive procedures can provide significant benefits, both during the procedure and after. This is the next evolution of surgical aortic valves. This is the EDWARDS INTUITY valve platform. Designed for durability. Created to last. The EDWARDS INTUITY Elite valve system combines our proven pericardial valve technology with our innovations in transcatheter heart valves. Streamlines implantation. Because time is precious. Implantation of the EDWARDS INTUITY Elite valve system is streamlined to help reduce procedural steps. Empowering multiple approaches. Progress through access. The EDWARDS INTUITY Elite valve system is designed to enhance the ease of implantation through small incisions using three guiding sutures. The EDWARDS INTUITY valve platform has consistently delivered low mean pressure gradients at 1 year, as shown in multiple clinical studies. 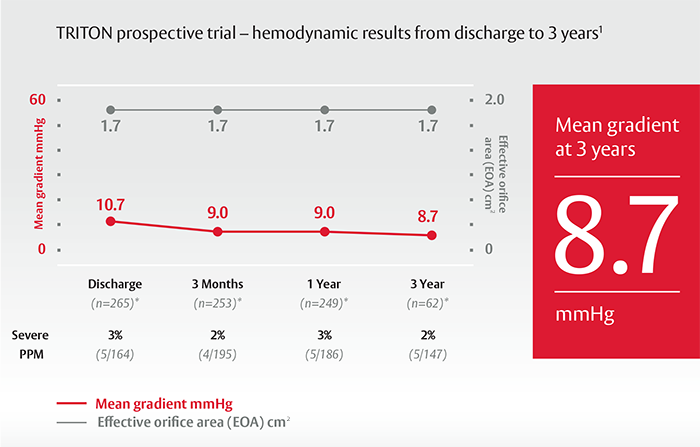 In a large prospective trial1, the EDWARDS INTUITY Elite valve demonstrated excellent and stable hemodynamic performance and significant LV mass regression out to 3 years. * These data pertain to an earlier generation EDWARDS INTUITY valve as part of the TRITON trial. **These data pertain to an earlier generation EDWARDS INTUITY system and supported the CE Mark approval for the EDWARDS INTUITY Elite valve system. Welke KF, Wu Y, Grunkemeier GL, Ahmad A, Starr A. Long-term results after Carpentier-Edwards pericardial aortic valve implantation, with attention to the impact of age. The Heart Surgery Forum. 2011;14(3):E160-165. Grunkemeier GL, Furnary AP, Wu Y, Wang L, Starr A. Durability of pericardial versus porcine bioprosthetic heart valves. The Journal of Thoracic and Cardiovascular Surgery. 2012;144(6):1381-1386. Bourguignon T, et al. Very Long-Term Outcomes of the Carpentier-Edwards PERIMOUNT Valve in Aortic Position. Ann Thorac Surg. 2015 Mar;99(3):831-7. (Cohort size = 2,659, mean age = 71 ± 10.4 yrs. Number at risk for explant for Structural Valve Deterioration = 28). Johnston DR, Soltesz EG, Vakil N, et al. Long-term durability of bioprosthetic aortic valves: implications from 12,569 implants. Ann Thorac Surg. 2015 Apr;99(4):1239-47. (Cohort size = 12,569, mean age = 71 ±11 yrs. Number at risk for explant for Structural Valve Deterioration at 20 year follow-up = 54). Clinical Investigation Report: Study Number; 2011-02 Report Date: 25 February 2016; TRANSFORM Database December 3, 2015. STS database for the period of July 2011 - December 2012. Borger MA, Dohmen P, Moustafine V, Conradi L, Knosalla C, Richter M, Merk DR, Doenst T, Hammerschmidt R, Treede H, Dohmen P, Strauch JT. Randomized Multi-Center Trial of Minimally Invasive Rapid Deployment Versus Conventional Full Sternotomy Aortic Valve Replacement (CADENCE-MIS). The Annals of Thoracic Surgery, 2014. Clinical Investigation Report. Report Date: 07 June 2016; FOUNDATION Database February 1, 2016. Indications: The EDWARDS INTUITY Elite valve is indicated for the replacement of diseased, damaged or malfunctioning native or prosthetic valves. 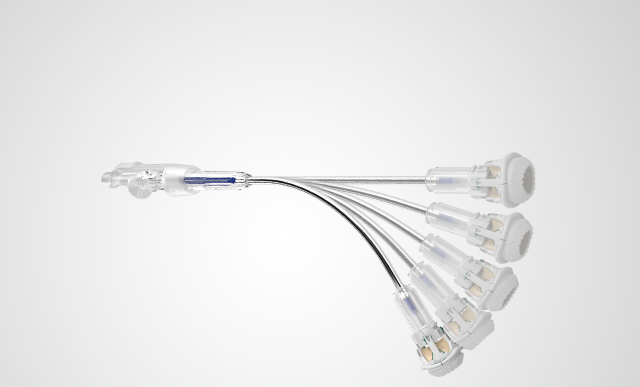 Contraindications: The EDWARDS INTUITY Elite valve is contraindicated for use in patients with pure aortic insufficiency and aneurysms of the aortic root or ascending aorta. Warnings: The safety and effectiveness of the valve has not been studied in the following specific populations: patients who are pregnant or lactating; patients with chronic renal impairment or calcium metabolism disorders; patients with active endocarditis or myocarditis; or children or adolescents. As with any implanted device, there is potential for an immunological response. Use of the EDWARDS INTUITY Elite valve system may be associated with new or worsened conduction system disturbances, which may require a permanent pacemaker implant. Potential adverse events: Adverse events potentially associated with the use of bioprosthetic heart valves and aortic valve replacement surgery include but are not limited to: annulus damage, dissection, or tear; hemolysis; cardiac arrhythmias/conduction disturbances; congestive heart failure; endocarditis; leaflet impingement (aortic or mitral); myocardial infarction (MI); neurologic events; patient-prosthesis mismatch (PPM) (due to inappropriate sizing); reoperation or re-intervention, structural/non-structural valve dysfunction, explantation and death. Additional potential risks associated with the use of a bioprosthetic valve with a reduced number of sutures similar to the EDWARDS INTUITY Elite valve include; valve leakage; paravalvular (perivalvular) leak; transvalvular regurgitation; valve stenosis; valve thrombosis; valve frame distortion (from chest compression or trauma); and valve malposition, instability, dislodgement or migration/embolization.